My thoughts on books from the Mystery Genre and the golden age of detective fiction. I have a very keen interest in books about History and Politics too. Hope you enjoy your stay here. Please leave a comment to mark your visit. Being a Punjabi I have always been curious about the history of the Punjab. The political history of Punjab is intermingled with the history of the dominant religion in those parts, Sikhism. Also, one often hears phrases like Sikhs made many sacrifices for us, the Sikh Gurus gave their lives for us etc. So, I was naturally curious about their History; I got myself this book written by Mr. Khushwant Singh. In the beginning the author familiarizes us with the topography and climate of the Punjab. Then, Mr Singh, himself a Sikh, dwells into ancient history about the Mohenjo Daro, Indus valley civilizations, whose cradle was the Punjab. Singh, claims that this ancient civilization was later wiped out by the Aryans invaders. The Aryans, bought the Vedic religion to the fore in India and till date are the dominant force in India. The aboriginals were marginalized and the tribals in India today are decedents of the aboriginals. Although after almost 2600 years, anyone claiming that Aryans are still outsiders, and trying to drive political mileage out of it is are just being plain silly. Hinduism, while a great religion has had too many problems, the major one being the caste system, the social hierarchy in which the Brahmins take the top spot(incidentally the same people who came up with the caste system) and Shudhras at the bottom, who were not only given menial jobs but were discriminated and persecuted for centuries. Even in modern day India, this rigid and evil structure persists which the upper casts still exploit. 15th April 1469, Guru Nanak, born into a middle class, hindu, Bedi family was spiritually inclined from an early age. The young Guru could hold his own against erudite theologians. He was married at an early age, 12, child marriage was common in those days. Nanak even had two sons and was later convinced by his sister to find regular employment. Soon, He had his epiphany, and announced to the world his encompassing philosophy where he repeated several times he was "neither a Hindu nor a Muslim". Thus, a new monotheist religion was born. Inspired from the Sufi and Bhakti movements. Nanak used the local language, Punjabi, to spread his word. Guru Nanak, also traveled the world to spread his religion. An anecdote from one of his travels goes something like this: Nanak was travelling in the middle east and was somewhere near mecca, when he got tired and fell asleep. A zealous Muslim started shouting at him; pointing out that his feet were pointing towards Mecca, on hearing this Nanak went back to sleep, the Muslim enraged moved Guru Nanak's feet to a different direction, to his astonishment Mecca moved to where the Guru's feet were, wherever the zealot tried to move the Guru's feet mecca also moved. The Guru pointed out that God was everywhere. Guru Nanak's small religion had found many patrons amongst the Punjabi speaking population, he pitched the idea of an omnipotent, omnipresent, and formless god. After Nanak's death there were 9 more Gurus, all from the mercantile Khatri caste. 2. Guru Angad - who was an ardent follower of Nanak, he spent his life in fortifying the edifice of the Sikh Church that Guru Nanak had built. He also tactically handled Sri Chand, who was a son of Guru Nanak and had declared himself as the heir. 3. Guru Amar Das - Guru Angad, following the tradition of Guru Nanak choose not one of his sons as the successor but one of his pious disciples, Guru Amar Das. Guru Amar das created the practice of Langar, which meant a communal feast for the poor and the needy. He also had copies of the hymns of Nanak and Angad created in Punjabi which for the local peasent population was legible rather than the Arabic Koran or hindu texts written in the complex Sanskrit. 4. Guru Ram Das - Son-in-law of Guru Amar Das, further composed more hymns. 5. Guru Arjun- youngest of the three sons of Guru Ram Das. Arjun was one of the most important Sikh Gurus, he commissioned the sacred Guru Granth Sahib, holy text of the Sikhs. He also created "Golden Temple" at Amritsar. Here the author notes how Golden temple was similar to what Mecca was to Muslims, and Benaras to Hindus; while in monotheist religions it is acceptable, even crucial to have a pivotal church/mosque/temple, in a polytheist religion like Hinduism it is impossible to have one center of power. For e.g. my family are pious Hindus, but none has ever visited Benaras, nor they have any desire to do so. Back in the 17th century, when the secular king Akbar died, Jehangir took his place, Jehangir was worried about the rise of Guru Arjun and had him tortured. The Guru's body could not withstand the sadistic torture. On May 30, 1606 during an intermission in his torture sessions the Guru was allowed to wash up in a nearby river; The Guru's weakened body could not withstand the current and was drowned. 6. Guru Hargobind - The people were shocked by the mistreatment meted out to Arjun. before he died Guru Arjun proclaimed his son, Hargobind, as the next guru. Hargobind called to arms. He created a private army to defend not just the Guru but Hindus and Sikhs. 7. Guru Hari Rai - An uneventful tenure, where more and more people were lured to Sikhism. Guru Hargobind did not find either of his living sons to be worthy of being declared a Sikh guru so the loyal grandson, Hari Rai was given the top job. 8. Guru Hari Krishen - Was the youngest Sikh guru only 5 years old when he became one, few people think that nepotism was at full display when Hari Rai choose one of his sons that too only a 5 year old boy, Hari Krishen, died only 2 years later because of chicken pox, majority of his guruship being spent under the supervision of the fanatic, odious, genocidal Mughal ruler Aurangzeb. 9. Guru Teg Bahadur - who was the son of Guru Hargobind was put at the helm of Sikhism, so as to avoid the fiend Aurangzeb from ruling Sikhs by a proxy. Teg Bahadur was captured and his head was severed by the order of the perfidious Aurangzeb. 10. Guru Gobind Singh - Was just a 9 year old boy when his father was executed. He was the last Sikh guru and he more than anyone gave the Sikhs their identity. Guru Gobind Singh was a brilliant military commander, a towering personality and a man with magnetic charisma. His entire family was murdered by the Mughals, his innocent sons were walled alive! Guru Gobind Singh gave Sikhs the five emblems and the Khalsa. He was responsible for turning Guru Nanak's religion into a militant fighting unit. He was murdered by two pathans in his tent. Guru Gobind Singh was the last Sikh guru and after him he proclaimed only the Guru Granth Sahib shall be worshiped. Guru Gobind Singh appointed an ascetic name Lachman Das as his successor. This man was later known as Banda Bahadur. Why this Hindu ascetic was chosen over other Sikh millitary commanders and leaders? remains a mystery till today. Maybe, Guru Gobind Singh was an excellent judge of character; perhaps we will never know. The author provides his own flimsy theories in the footnotes which I daresay seem to discredit the Rajput hindu credentails of this braveheart. Banda went on to lead the Sikhs from one victory to another, decimating the mughal forces. 5 years after Wazir Khan had murdered the sons of Guru Gobind Singh, Banda beheaded Wazir Khan. Thus in 1710 he avenged the last Sikh guru. Banda's victories made him seem indestructible to the Mughals and Sikhs; he was revered by the Sikhs, he also acclaimed himself as the 11th Guru. Banda managed to set up his own empire and won large swathes of land. Banda's reign came to end in 1715, when he was captured and put in an iron cage. He was asked to accept Islam, on refusal he was inhumanely tortured and executed in Delhi. The author who is a self confessed Gandhi Nehru acolyte tries to paint Banda as a villain and intolerant. The fact remains that Banda gave the Mughals a taste of their own medicine. He should be revered by the larger Indian community like Maharana Pratap and Shivaji, who also fought against the religion of Arabs. Banda was perhaps the greatest Sikh of all time after the Gurus, even more than Maharaj Ranjit Singh. Banda's death is also a death sentence for this book. The author takes the reader to such heights with his fascinating tale that it is difficult to reemerge after that. The rest of the book painfully details the several invasions of Ahmed Shah Abdali, and its effect on the Sikhs. 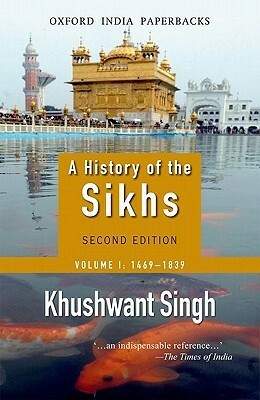 The book also takes us through how the Sikh power started to ascend as the Mughal and Afghan powers started to descend. The book concludes with a blow by blow account of the greatest Sikh empire under Maharaja Ranjit Singh. The author leaves no stone unturned to sing encomiums about Ranjit Singh. 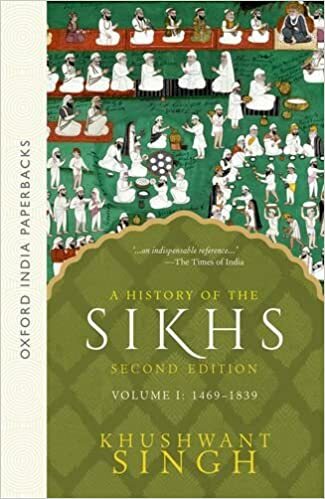 All in all this is a good introduction to Sikh History, I would not be interested in reading volume two which chronicles the Sikh religion from 1839-2004, for three reasons. b) Author seems biased towards his own religion and never shares any negatives about his brethren, if you can call people who lived 500 years ago as brethren. c) The book was more like a text book i.e. too many dates, names and details around topography. 3 stars out of 5. I would recommend if you are a history buff. An avid fan of the mystery and history genre. Hope you enjoy my thoughts on books and software testing.